There are currently 115,111 users on this website. 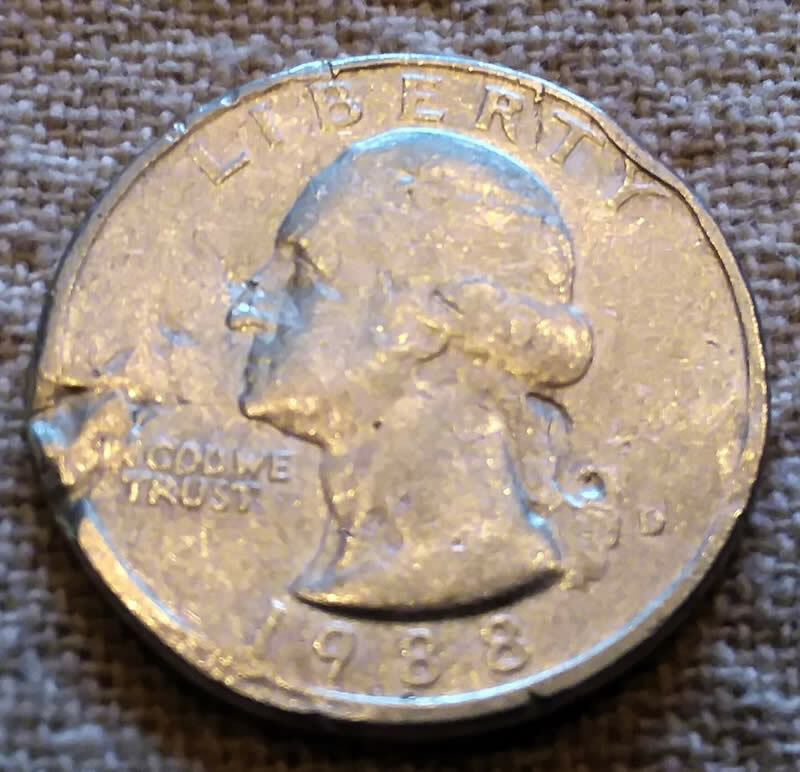 1988 D Washington Quarter Cladding Error? 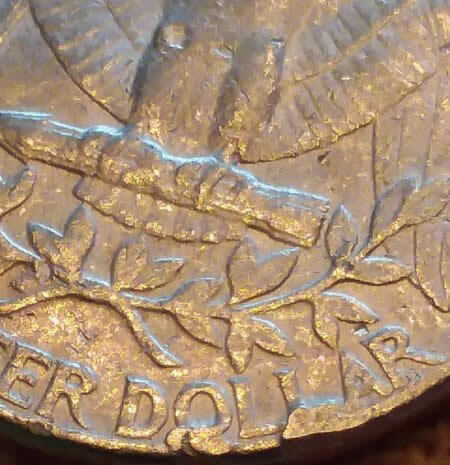 Just a damaged coin with Post Strike Damage ( PSD). It's impossible for this to have happened at the U.S. Mint. It can't happen. Just a spender. 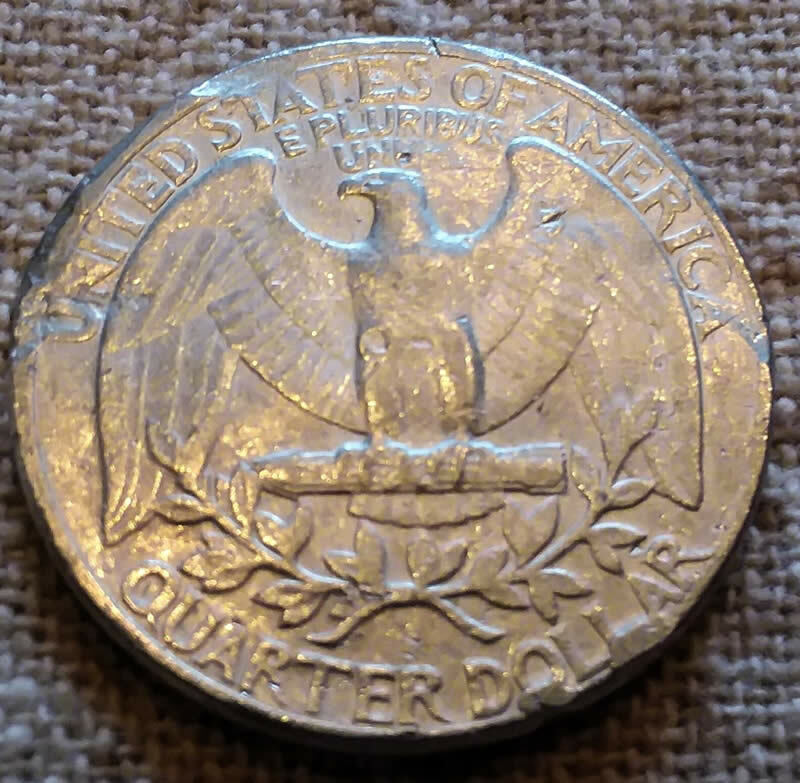 Still just a damaged coin as I mentioned before unfortunately. Damaged / altered after strike. The disturbed section beside IGWT at first seemed interesting, but take in account all the rest including the edge and reverse and its all seems nothing more than damaged. Had it been something more, I'd recommend not using metal tweezers to hold a metal coin. Thanks, Doug. Good point about metal tweezers! Thanks! Still, any idea of what causes the soft, shimmery feel and appearance? Or the cuds at 'dollar' or pushed in rim at 'ty'? Those two places are clipped on the outside edge. It took 1.28 seconds to rattle this change.